It’s that time of year again, and the Flu Vaccine has arrived. We carry preservative-free Fluzone, which is covered by most insurance companies. Please contact our office today to arm yourself against the upcoming flu season. Zostavax is a vaccine used for adults 50 years of age or older to prevent Shingles (also known as zoster), and is given in a single shot. Zostavax is not a treatment for Shingles – it’s a vaccine you can get to help reduce your risk of getting Shingles. Zostavax is thought to work by boosting your immune system so it is better able to keep the Shingles virus in check. You can get Tetanus through many types of cuts and puncture wounds these can include dog bits, tattoos and body piercings. The disease causes severe muscle spasms and even death. Given in one dose. Is spread person to person and is caused by bacteria that attack the tonsils, throat, voice box, and/or nose. Some cases may cause paralysis, heart failure, coma, and even death. Given in one dose. Caused by a bacteria and infects the respiratory tract. The most common symptom is attacks of rapid coughing. Highly contagious and can cause pneumonia, seizures and rarely death, especially in young infants. Disease is rare by dangerous and can start with flu-like symptoms and progress rapidly (24 – 48 hours) which may result in permanent brain damage, hearing loss, limb amputation and death. 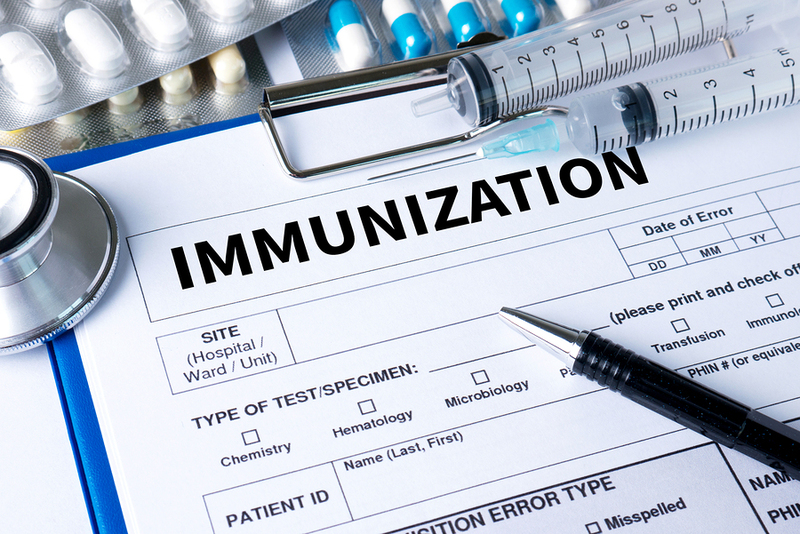 The preferred age for this vaccination is 11 – 12 years of age but teens between 13 – 18 who have not had the vaccine may still receive the immunization. Given in one dose. The most common sexually transmitted virus in the US. Many people will not have symptoms and it may clear up on its own. This virus can lead to certain types of cancer, most commonly cervical cancer in women. Recommended for females and males between ages of 11 – 12 and possibly as young as 9 and as old as 26. Gardasil is the recommended vaccination and is given in three doses. Both of these diseases are serious and can lead to liver damage. Hepatitis A is spread from person to person or by consuming contaminated food or water and is given in two doses. Hepatitis B is spread through contact with infected blood or other bodily fluids and is given in two to three doses. Most people infected with Polio will show no symptoms but in some cases will paralyze the muscles used to breath, leaving the person unable to breath on there own. Measles is a very contagious disease that can cause a high fever and rash that spreads over the entire body. Measles can result in pneumonia, and in rare cases brain damage, seizures and death. Mumps are spread by coughing, sneezing or even talking and can cause swollen glands and jaws, rarely can results in deafness, brain damage and inflammation of the heart muscle. If mumps occurs in a males past the age of puberty, it can cause swelling of the testicles and in rare cases, sterility. Rubella (German measles) is generally a mild disease, but if a pregnant woman gets the disease it can cause a miscarriage, premature birth or birth defects. Teens and adults who catch this disease are at risk for severe disease and serious complications including pneumonia, brain damage, and death.